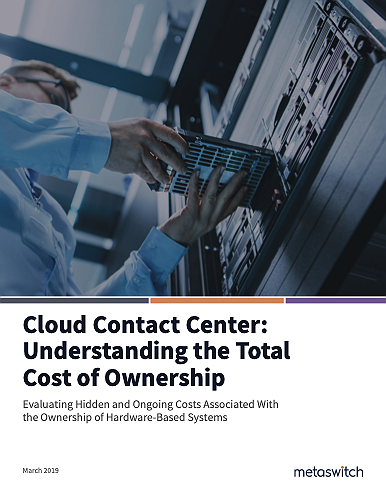 To build a proper business case, it is important to fully understand and evaluate the often hidden – and ongoing – costs associated with the ownership of hardware-based systems. If so, you are most-likely evaluating the pros and cons of replacing older facilities-based systems for newer on-premise hardware versus moving up to the cloud. And, most importantly, trying to determine which of the two options will be the most cost-effective in the long run. Could it in fact be more economical in the long-run to make a significant “one-time” CAPEX investment to avoid monthly recurring Contact Center as a Service charges? While this initial question may seem like a logical one, simply comparing the amortized purchase price of a hardware-based solution to the total monthly fees of a cloud-based solutions over the same period of time does not give you the complete picture.